Australians are overwhelmingly in favour of multiculturalism – so says a new discussion paper exploring attitudes towards diversity. 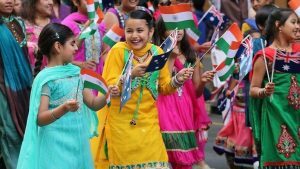 The Scanlon Foundation has been looking at these perceptions over the past decade, and most recent research shows 85 per cent of Australians agree that multiculturalism has been good for the country. The Scanlon Foundation’s Multiculturalism Discussion Paper has been tracking people’s views across more than a decade of surveys. Data shows Australians are generally very accepting of cultural diversity and immigration, but the level of support varies across generations, geographical locations and demographic groups. Research Professor at Monash University Andrew Markus says this report looks in detail at research that’s been going on over the past 30 years. Professor Markus says the research shows current support for immigration is at relatively high levels, compared to 30 or 40 years ago. Centres such as Sydney and Melbourne have the highest level of support for multiculturalism, with younger people also more inclined to be in favour. But the research not only casts light on external perceptions, it also shows how recent migrants feel about settling in the country. Scanlon Foundation CEO Anthea Hancocks says the paper sets out to explore the complexity of the issue, encourage debate and foster social cohesion. Ms Hancocks says Australia’s diverse culture is one of the country’s most defining characteristics. Welcome to Australia Founder Brad Chilcott says despite 85 per cent of Australians supporting the concept of multiculturalism, the nation continues to see divisive politics. He hopes it influences the nation’s leaders to change the way they do business. Mr Chilcott says the research is extremely important as a building block for communities to foster greater understanding.